Tuition and Fees (2017-2018): $187.98 per credit. See a complete breakdown of costs. Student Life: Performing arts, sports and fitness, student clubs and organizations provide RCTC students with more options than you would expect at a two-year college. RCTC is large enough to be able to provide countless opportunities for students to take their college experience beyond the traditional classroom. But RCTC is small enough for students to immediately engage and become actively involved. Housing: RCTC believes that housing selection is an important part of the college experience. Since we are a commuter campus, we encourage students to explore the array of housing options in Rochester, including housing options dedicated to students. RCTC was founded in 1915 on a motion by Dr. Charles Mayo to the Rochester School Board. 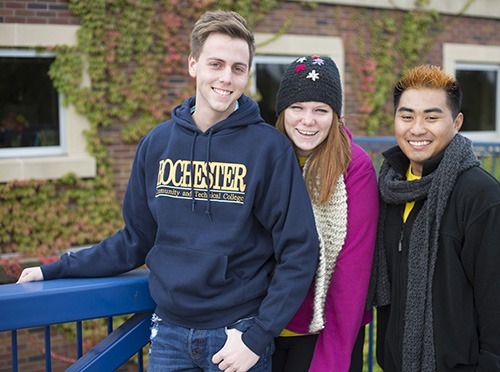 Rochester is Minnesota’s oldest – and one of the nation’s oldest – original community colleges. In 2015, the College celebrated its 100th Anniversary.